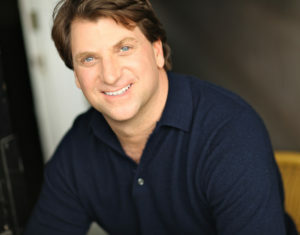 Michael Arata is an award winning actor and producer, who began his acting career at age four. Over his long career, he has appeared on stages in the United States, England, and France and appeared in over 70 feature films and television programs. Michael’s career has included work with Academy Award winners Oliver Stone, Herbert Ross, Gene Hackman, Kevin Costner, Jamie Foxx, Tatum O’Neil, Kim Hunter, Billy Bob Thornton, Denzel Washington, Ellen Burstyn and Sissy Spacek, and he has appeared on stage with Sir Kenneth Branagh, Sir Ben Kingsley, Rosemary Harris, as well as Alec Baldwin and Elizabeth Ashley in a staged reading of Tennessee Williams‘s classic The Night of the Iguana. American Theatre Magazine hailed Mr. Arata’s performance of Stanley Kowalski in the 50th anniversary production of Tennessee Williams’ classic A Streetcar Named Desire as “unhinged and electrifying”, and reviewer Dalt Wonk called the performance “a Stanley for our times”. In addition to his extensive acting experience, Mr. Arata also has produced award winning theater, feature films, and documentaries. His 20 films have been distributed by Sony Pictures, MGM, Lionsgate Films, Image Entertainment and PBS. Michael lives in New Orleans with his wife Emily and their two boys, Gabriel and Rocko.